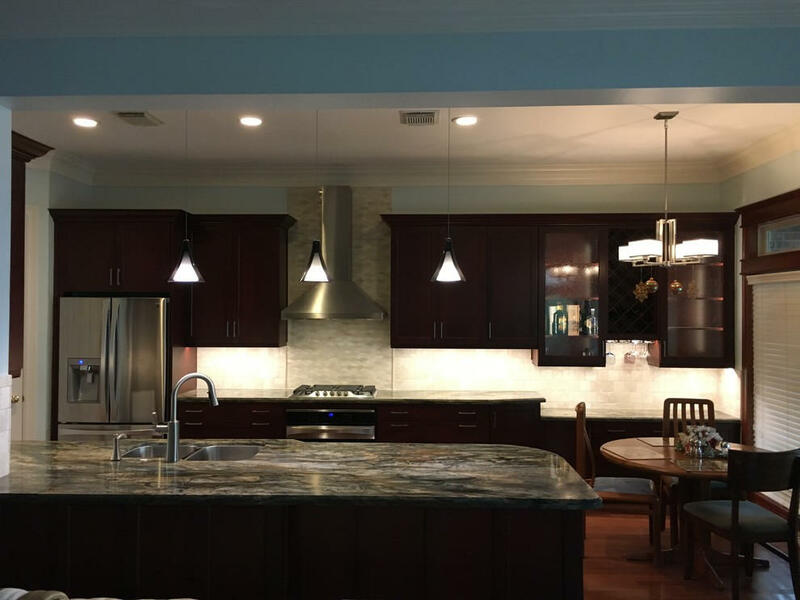 This gorgeous open-concept kitchen was made possible by removing a major loadbearing wall between the kitchen and the family room. 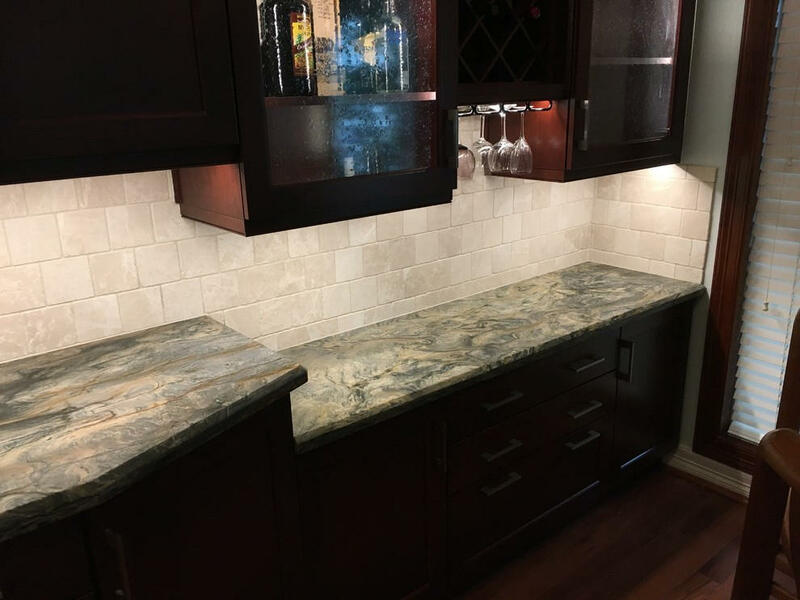 Beautiful custom cherry cabinets are topped with quartzite countertops, and illuminated with all high-efficiency LED lighting. 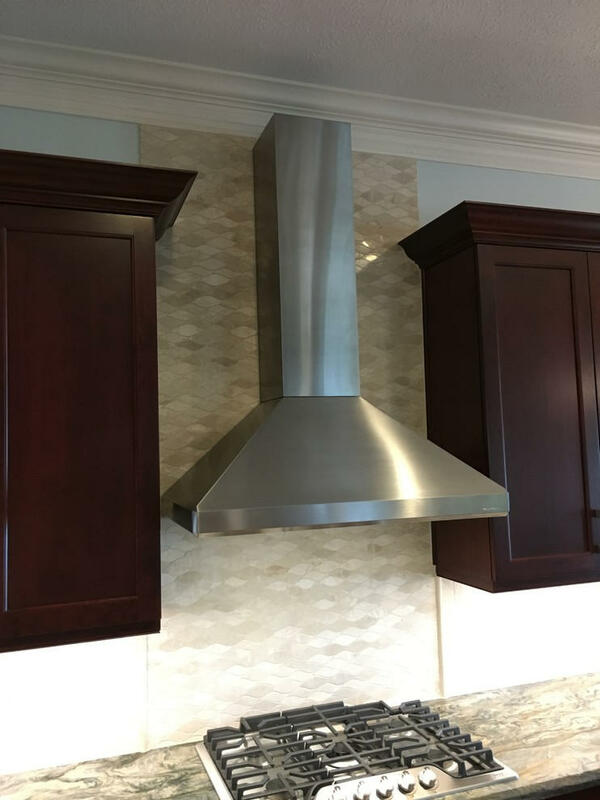 Check out all the details on the following photos and their descriptions..
We removed this major wall that used to divide the kitchen from the Family Room, providing our clients with an amazing open concept kitchen, as well as additional seating at the counter. 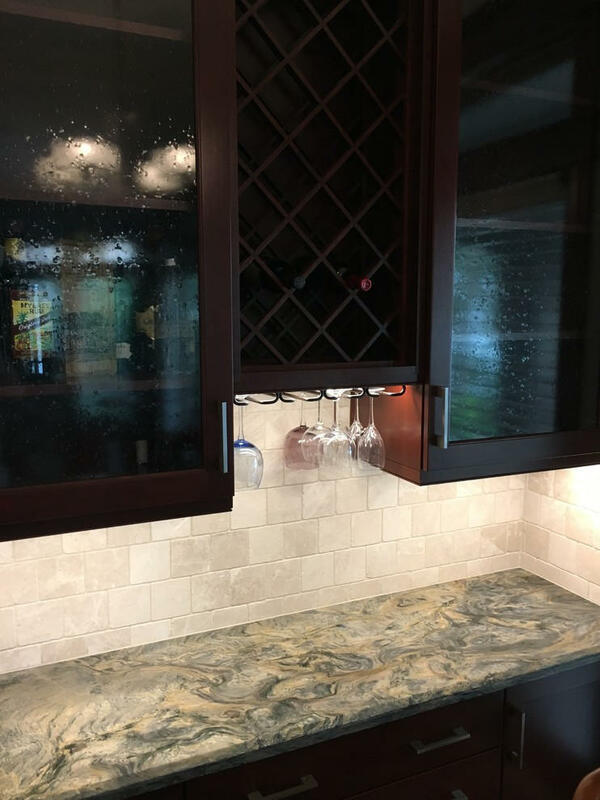 Note that there are no unsightly outlets or switches in these beautiful backsplashes; all the outlets are cleverly concealed below the upper cabinets. 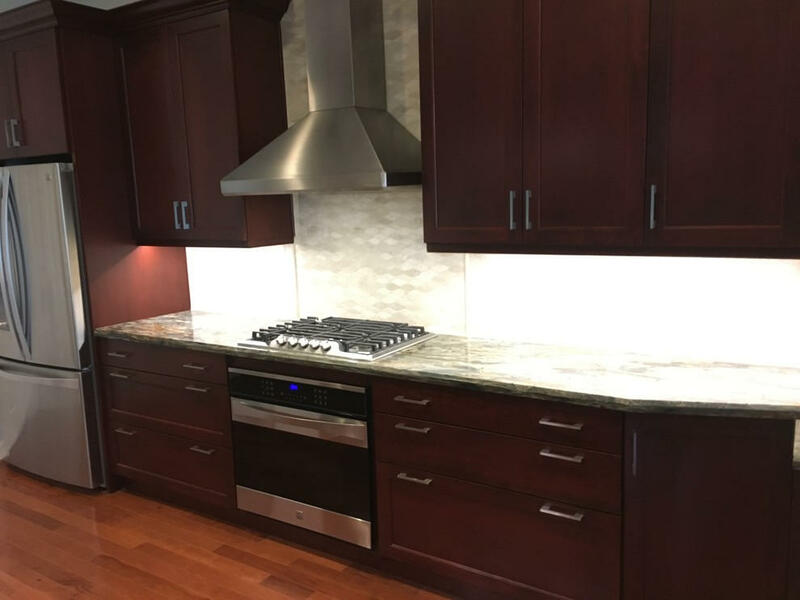 Gorgeous Fusion quartzite countertops add excitement to the dramatic dark cherry cabinets. 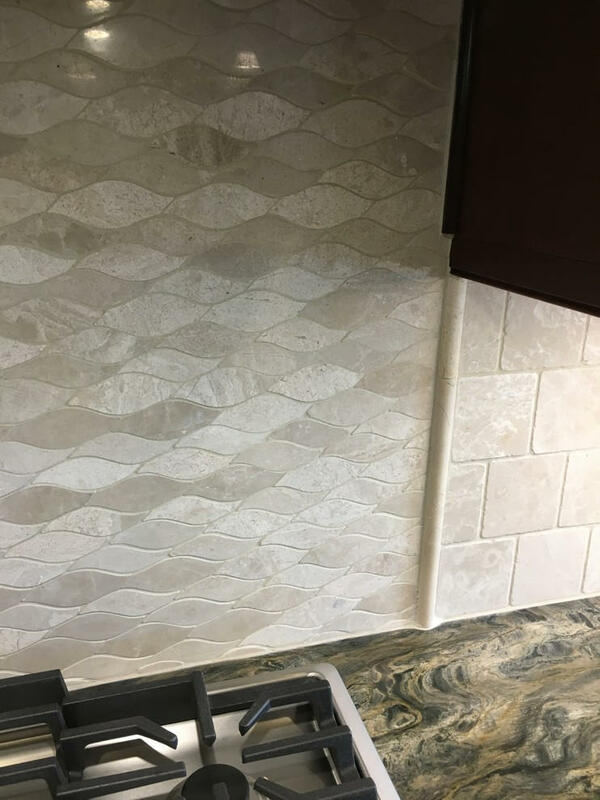 The backsplash consists of travertine tiles in a combination of wave and 4x4 staggered pattern. 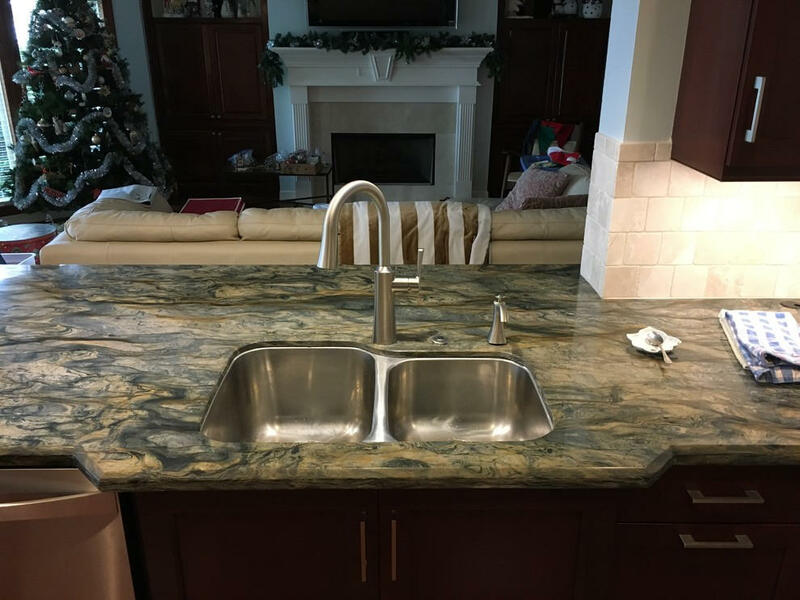 Also note the close-up of the quartzite countertop material. 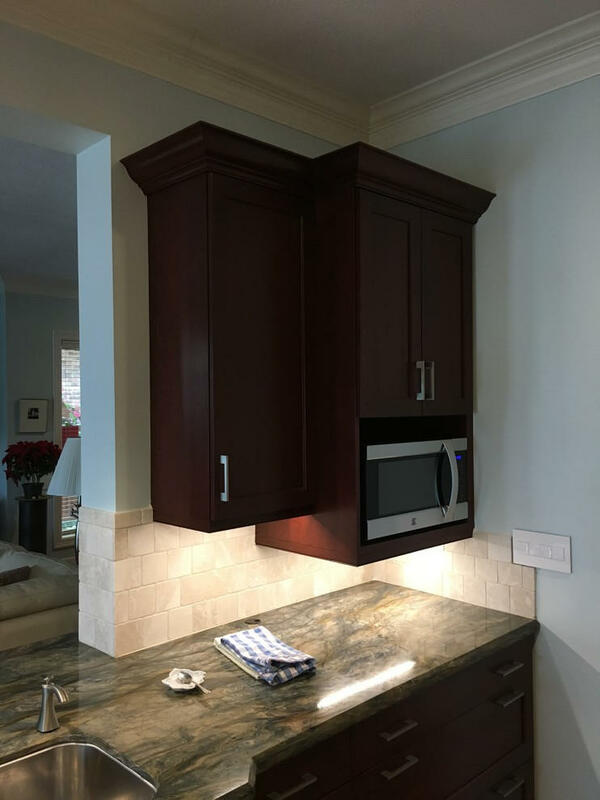 × Note that there are no unsightly outlets or switches in these beautiful backsplashes; all the outlets are cleverly concealed below the upper cabinets. 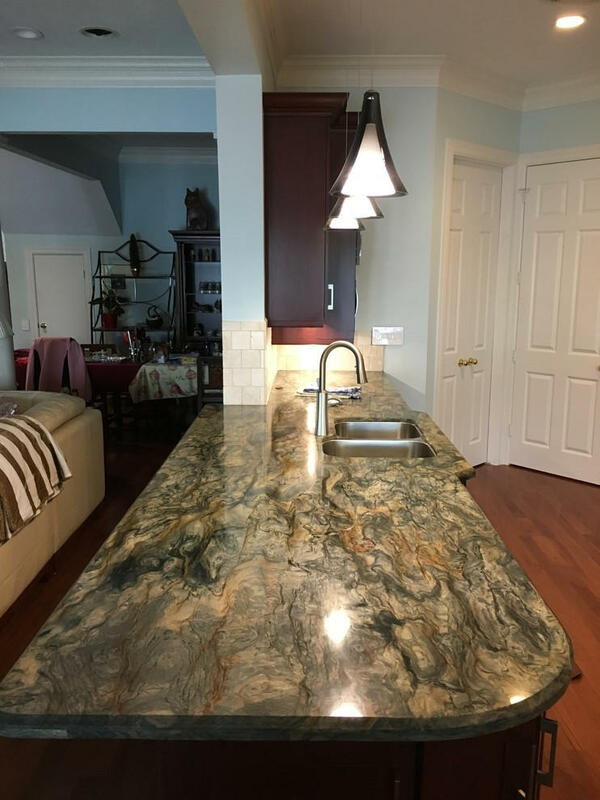 Gorgeous Fusion quartzite countertops add excitement to the dramatic dark cherry cabinets. 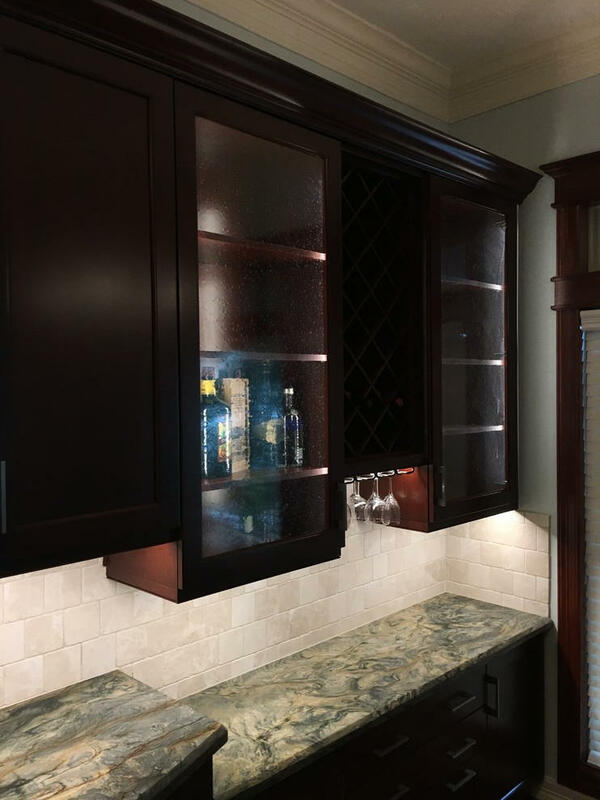 LED light strips provide continuous lighting below the upper cabinets and inside the glass-door cabinets. 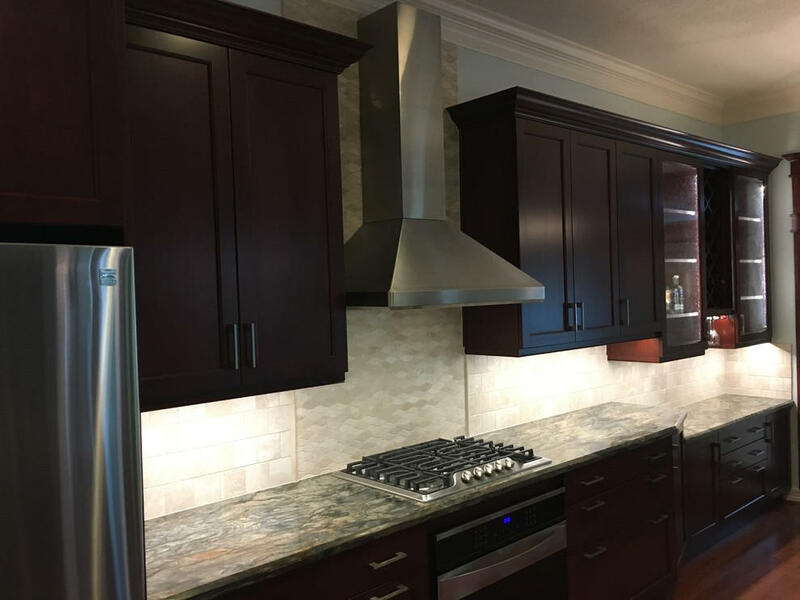 Note that there are no unsightly outlets or switches in these beautiful backsplashes; all the outlets are cleverly concealed below the upper cabinets. 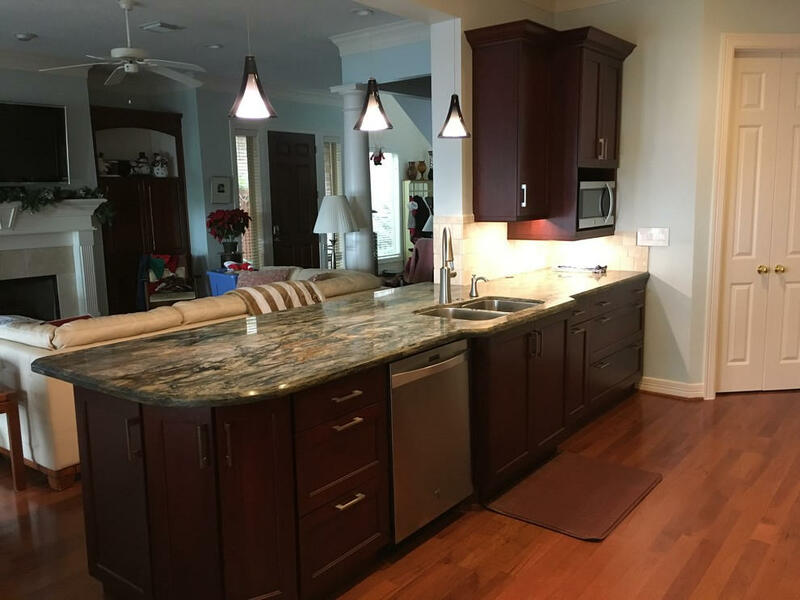 Gorgeous Fusion quartzite countertops add excitement to the dramatic dark cherry cabinets. 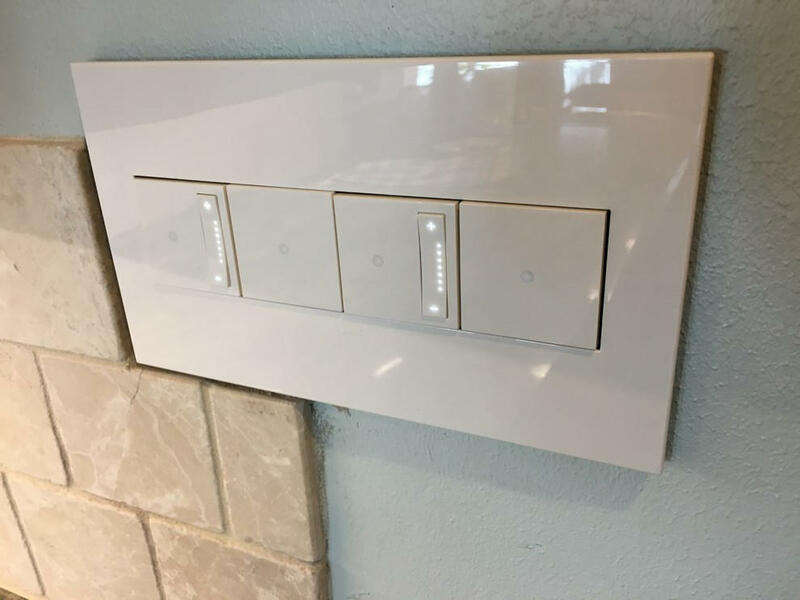 No high-end kitchen is complete without high-end lighting controls. These Adorne controls by LeGrand are both beautiful and functional.